Am 5. und 6. Mai 2009 fand am Institut für Europäische Politik (IEP) die Auswahl der Stipendiaten des Study Programme on European Security (SPES) statt. Das Studien- und Forschungsprogramm für Doktoranden, Post-Docs und Nachwuchsführungskräfte aus Mittel- und Osteuropa wird vom Institut für Europäische Politik (IEP) durchgeführt und von der VolkswagenStiftung gefördert. Mit einem thematischen Fokus auf die zukünftige Sicherheitsarchitektur der Europäischen Union fördert das Programm die wissenschaftliche Arbeit junger Akademiker und Experten aus Mittel- und Osteuropa und bietet ihnen die Möglichkeit, engere Kontakte zu westeuropäischen Netzwerken zu knüpfen. In response to the Call for Applications for the Study Programme on European Security (SPES) conducted by the IEP and funded by the VolkswagenFoundation, applications were received from a total of more than 100 researchers from twenty different Central and Eastern European countries. Fifteen candidates were invited for selection interviews held from 5 to 6 May 2009 at the Institut für Europäische Politik (IEP), Berlin. In the individual interviews with the selection committee, open questions were asked regarding the planned policy papers. The chosen approaches to the papers and working methods were also clarified. Additionally, the interviews discussed the expected impact of the research projects on the debate of the future of European security as well as the relevance participating in the programme would have for the candidate’s career. The invited candidates took part in a scientific seminar on current and future challenges of the two existing security actors in Europe, NATO and the EU, conducted by Professor Walther Stützle, German Institute for Security and International Affairs (SWP), Berlin. Professor Stützle started by claiming that the current diplomatic relationship between Europe, the United States and Russia should be considered a big achievement in modern history. One concrete result of political and power changes in the global order was the breakthrough of new concepts. Whereas ‘deterrence’ had been a key concept during the Cold War, ‘cooperation, partnership and integration’ have been newly emerging principles in the Post-Cold War era. On this note, Prof. Stützle stated that nowadays political leaders can discuss peace and security issues without any fear of conflict, war or division. Also, the idea to set up global stability under a common security umbrella prevents partner countries from becoming enemies. 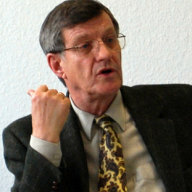 Prof. Stützle emphasized that the demise of the Soviet Union had not only generated new forms of cooperation but also deprived NATO of its strategic concept. Therefore, a new strategic concept was needed to clearly define NATO’s future priorities, missions and limits. According to Prof. Stützle, serious reflection must be made on the reorganization of the Alliance into an effective European security system including Russia. Looking at the EU’s position in NATO, Prof. Stützle raised some important questions: Will Europe remain an unequal partner of the United States? Or will NATO and the EU be able to find a reasonable balance of cooperation with the perspective of a long-term restructuring of the Alliance into a real, new, two pillar structure founded upon the United States on one side and a deeper integrated Europe on the other. Prof. Stützle stated that even today the EU was able to be a responsible security actor. The Georgian crisis showed that the EU can play a crucial role in managing disagreements and become an agent for security and stability in its neighbourhood. Additionally, Prof. Stützle reminded the participants that, since their creation, great achievements had taken place within the Common Foreign and Security Policy (CFSP) and the European Security and Defense Policy (ESDP). However, the EU member states shied away from going beyond intergovernmental cooperation. As Professor Stützle put it, the enlargements in 2004 and 2007 reemphasized the reluctance to surrender sovereignty in this field. 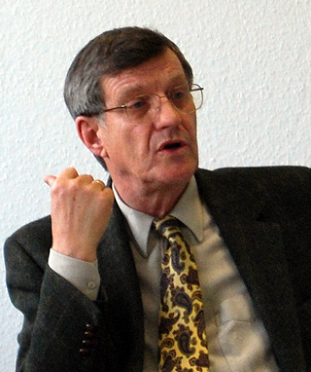 Prof. Stützle finally focused on internal rifts concerning European treaty reform. While the ongoing uncertainty over the Lisbon Treaty started when Irish voters rejected it, the ratification of the treaty has also not been completed in the Czech Republic, Poland or Germany. Prof. Stützle expressed regret that German President Horst Köhler decided to put the ratification of the Lisbon Treaty on hold until the German Constitutional Court’s decision on the compatibility of the treaty with the German Grundgesetz. The speech was followed by an intense discussion which revealed the controversial potential of certain topics, such as a long-term restructuring of NATO or the relationship between the EU, Russia and the United States.